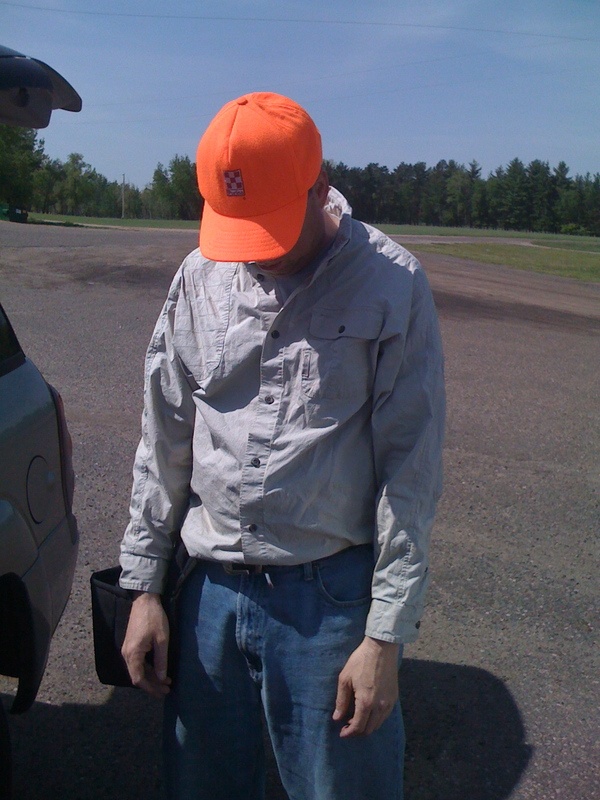 Just in case you think I only write about my successful hunts..... Me after getting shut out. Sunday was looking to be a continuation of the warm days. It is hard to complain about it being too nice to hunt after missing days the last few years because of rained out weekends. This was the third day in a row for the heat for myself and Tina. I decided to let Tina relax at Tony’s cabin. We were going to hunt the Emily / Outing area today. I had hunted this area quite a bit 10 years ago but shifted more of my hunting to Ely and Grand Rapids. We had good success in the years past so I was hopeful of a good showing. We hunted a number of areas that looked really birdy but only moved three birds for the day. It was dry and warm and I don’t think we were on the top of our games so I count out this area.